Wind energy conversion systems comprise of wind energy, and the mechanical and electrical equipment to convert this into electrical energy. The controls are an important part of being able to deliver the power to the network. Modeling wind systems for power system stability simulation studies requires careful analysis of the equipment and controls to determine the key factors that affect stability in the timeframe and bandwidth of such studies. There are a number of public and proprietary models of wind turbine units and wind farms available for use with commercial power flow and stability simulation packages. Manufacturers of wind turbines also provide specialized models. Consultants, such as Pterra, labs and research organizations may also develop special user models. Hence, there is a variety of models to choose from. However, there are four basic types of wind farms. In selecting generic models, it may be sufficient to apply the best fit with one of the four basic types. This is particularly appropriate in planning studies. Unlike base load power plants such as nuclear and some coal plants which operate near full capacity for days at a time, solar photovoltaic (PV) and wind farms are variable resources whose output is dependent on the minute-by-minute change in weather conditions. For solar PV arrays, clouds and atmospheric interference are the sources of variability. While for wind power installation, gusts and weather patterns are the main culprits. This difference in operating characteristic for variable resources requires a novel approach to determining the impact of transmission capacity on the size of the plant. Wind farms are unique to power systems in that the construction and development time is much shorter than that of transmission lines and other bulk system facilities. Wind farms can be placed into service well ahead of any planned upgrades, or even proposed non-wind power plants. In these situations, the wind farms may be allowed to interconnect on a conditional basis or an energy basis; i.e., if congestion is present, they may be first to lose transmission access or have to share the available capacity with other generators, including other wind farms. Hence, it is important to be able to estimate potential curtailment subject to transmission congestion. In a previous article, we introduced the raw elements of the methodology for estimating curtailment of wind farms due to transmission congestion. 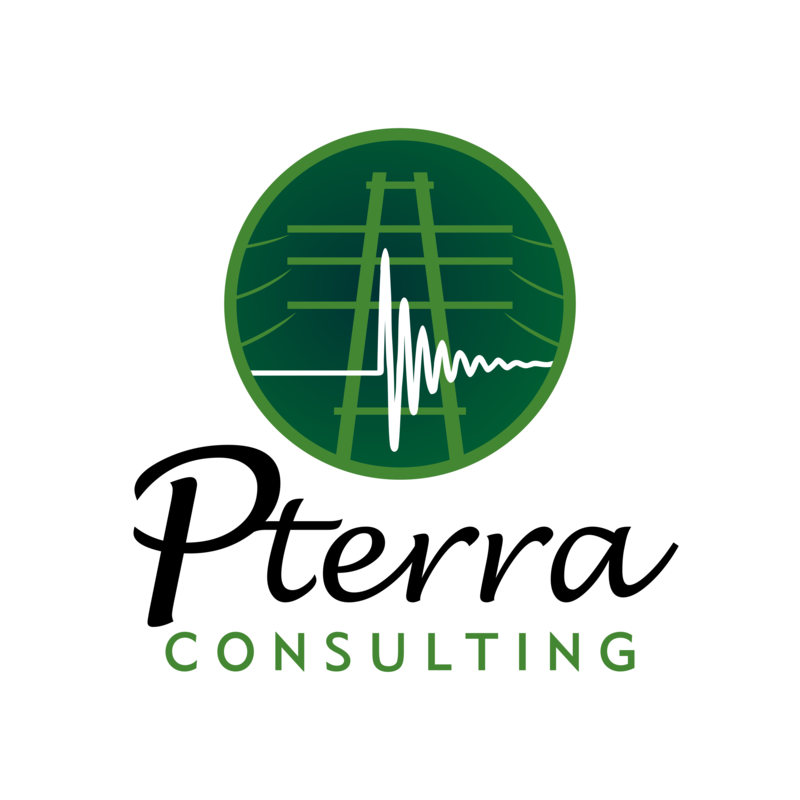 (See A Methodology for Estimating Potential Curtailment of Wind Farms, Pterra Tech Blog, September 2010). We now look at the overall methodology applied for the purposes of making annual or seasonal projections of curtailment. A wind farm integrated into a transmission grid is subject to curtailment due to temporary or long-term insufficient capacity on the transmission lines. Maintenance outage of a nearby line, dispatch of competing wind farms and availability of other generators are examples of system events that may limit injection capacity. In general, events that increase transmission utilization present potential curtailment conditions for wind farms, and so the daily and seasonal load cycles, and changes to interchange and import/export patterns can influence injection capacity as well. In measuring the potential curtailment of a wind farm for, say, the incoming year, it is important to take into account the wind availability as well. It may seem likely that curtailment will occur when the load is highest and transmission use is greatest; however, this condition may occur in summer when wind availability is low. Hence, we have the common situation that at summer peak, the available transmission is low, but the wind capacity is also low, resulting in no or minimal curtailment. Some operating wind farms have observed that most curtailments occur in the spring and fall periods where grid use may be relatively low but wind farm capacities are high. One approach to estimating potential wind farm curtailment is to simulate the hourly chronological performance of the combined generation and transmission system taking into account outages, unit commitment, least cost dispatch and load variations. This method is widely known as production simulation. In addition to being data intensive and laborious to setup, the simulation duration can be significant, especially if one chooses to run multiple years in a Monte Carlo simulation. This Blog presents a methodology that is based on an analytical model that is generally much simpler to develop than production simulation models and provides some unique insight into how and how often curtailments come about. High Voltage Concern at Wind Farms? If we think about wind turbines as induction generators, one would assume that these would be VAR (reactive power) sinks, demanding vars from the grid to be able to deliver watts. However, that may be true from the point of view of only the wind turbines themselves. In reality, wind farms are far more than a group of small generators. Electrically, wind farms that deliver at bulk power levels to the grid behave more like a small urban subtransmission grid with characteristics that are far removed from those of a large power facility such as a coal, oil, nuclear or natural gas plant.